Riverton Recap: The Latest from Riverton City! Riverton City Park is competing against other parks in the Salt Lake Valley in the Park Madness Tournament, sponsored by the City Journals. Those who have experienced the Riverton City Park know that it is the best park in the valley! 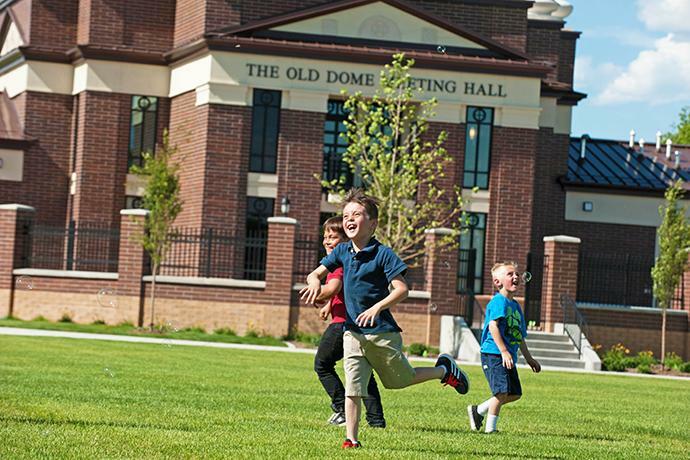 Riverton City Park boasts something for everyone, including a skate park, a splash pad, three playgrounds, pickleball courts, tennis courts, basketball courts, a volleyball pit, a rodeo arena, two pavilions, plenty of green space and, of course, the iconic Old Dome Meeting Hall. To learn more about the park, click here . After sailing through the first round against South Salt Lake, Riverton City Park is now in a stiff competition against Murray Park. 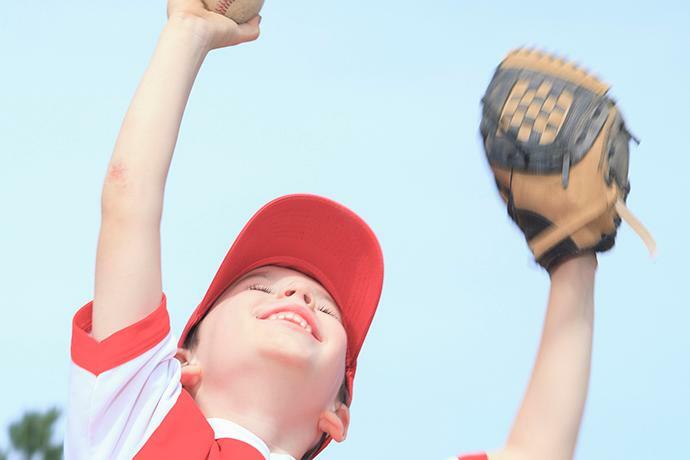 Riverton City is encouraging all residents to vote in the tournament. To vote, click on the button below. Once on the City Journals Facebook page, click on the Riverton City Park image to vote. Be sure to tag your friends in the comments who would be willing to vote for Riverton! Friday Fun Nights in Riverton are back! 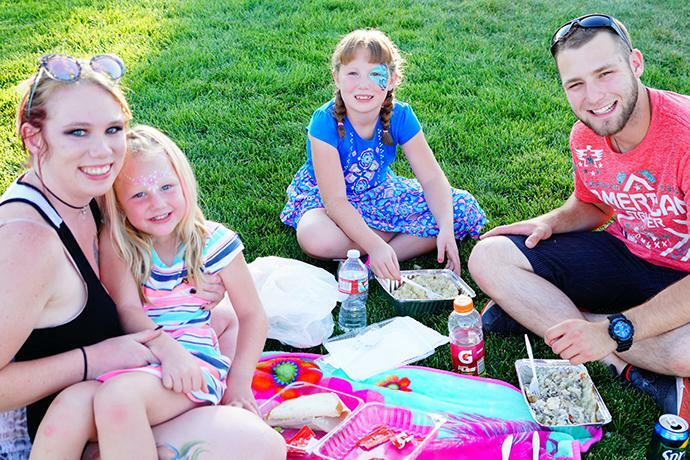 Join us on Friday, July 13, at the Riverton City Park for an enjoyable evening at the park. Food Truck Frenzy and the Home, Hand and Harvest Market open at 6 p.m. Food truck vendors include: Fry Me to the Moon, Harry's Food Truck, Leroy's Cowboy Sushi, Mama-Lau, Monsieur Crepes, Pizza Cone Zone, Satisfactory Truck and Yoshi's. Entertainment will be provided throughout the evening. The Movie in the Park, Coco, will begin at dusk at around 9:30 p.m. Those who attend are encouraged to bring blankets or lawn chairs. 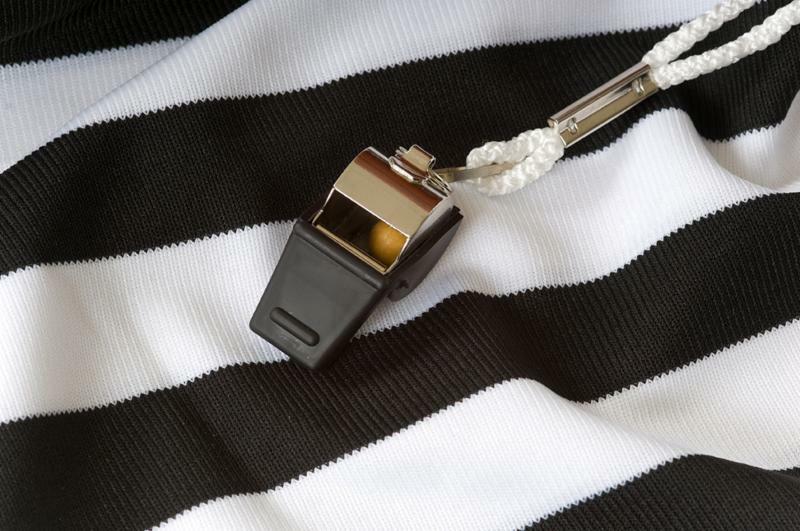 Riverton City is on the hunt for referees and umpires for our Flag Football and Fall Baseball programs. Both programs are recreational in nature and are designed to allow youth to develop skills and gain experience. Questions about the positions can be directed to Kevin Willett at kwillett@rivertoncity.com . Applicants must be at least 14 years old and be willing to work in the evenings Monday-Thursday from August to October. THANK YOU FOR A SUCCESSFUL TOWN DAYS CELEBRATION! Riverton City would like to express appreciation to those who participated in the Town Days festivities last week, as well as to the volunteers and staff who helped plan and manage the events. In the end, it was one of our most well-attended celebrations ever! 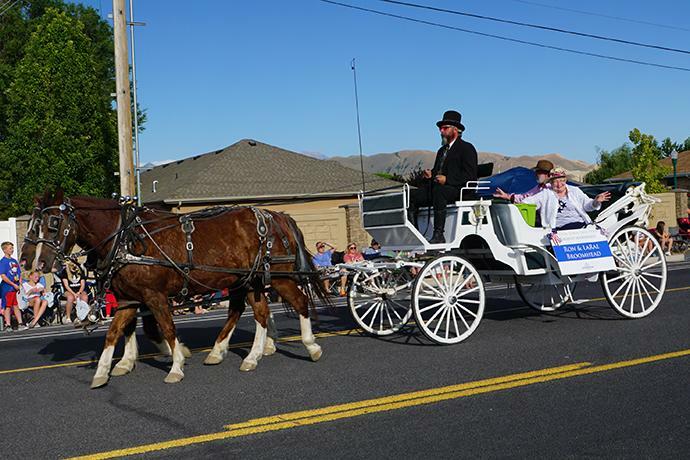 Riverton City honored long-time residents Ron and LaRae Broomhead as the 2018 Town Days Parade Grand Marshals. Each year a Parade Grand Marshal is selected for Town Days. The honoree leads the parade in a ceremony dedicated to them. It is an honor given to a couple, or an individual, that the Riverton mayor selects each year based on contributions to the local community. Recycling contamination has presented a big problem to our recycling efforts and to ensure that Riverton residents have access to the correct information, we want to provide some details about recycling. Cleanliness is important so that you do not contaminate your entire bin. If just one container has food waste, it can contaminate an entire bale of recycling causing hundreds of items to end up in the landfill. Riverton City encourages responsible recycling. If you have questions, please contact the Trans Jordan Landfill at (801) 569-8994. The Best of Riverton Photo Contest continues. Residents are encouraged to submit photos of what live is like is Riverton. $100 will be awarded to each category winner and $300 will be awarded to the overall winner. Click here for details. Registration continues for the Fall Classic Pickleball Tournament, which will take place on September 14-15! Click here for details or to register. 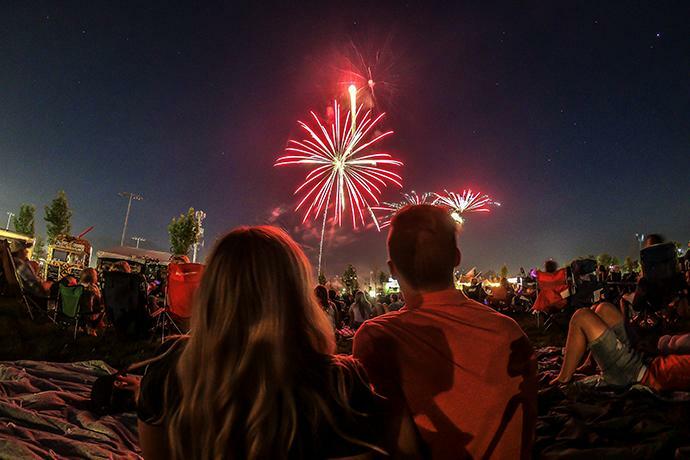 Fireworks may now only be set off on July 24-25 this month, in accordance with state law. Residents are encouraged to use extreme caution when using fireworks due to increasingly dry conditions in the city. Read more here. The 2018 Fire Restrictions map for Salt Lake County is now published. Click here to view. The 2017 Riverton City Water Consumer Confidence Report is now available. To view, click here. The Riverton Library's June calendar is now available. Click here to view. Vinyasa Yoga has started in Riverton. Classes are held every Monday evening, except for holidays, from 6:30-7:30 p.m. in the music room at the Sandra N. Lloyd Community Center. Cost is $10 per class or $75 for a 10-class pass. To learn more, click here . Season begins the week of August 7 and includes 8 games, a hat, and tailgate party. Players will be required to purchase a Riverton sport Jersey ($15). 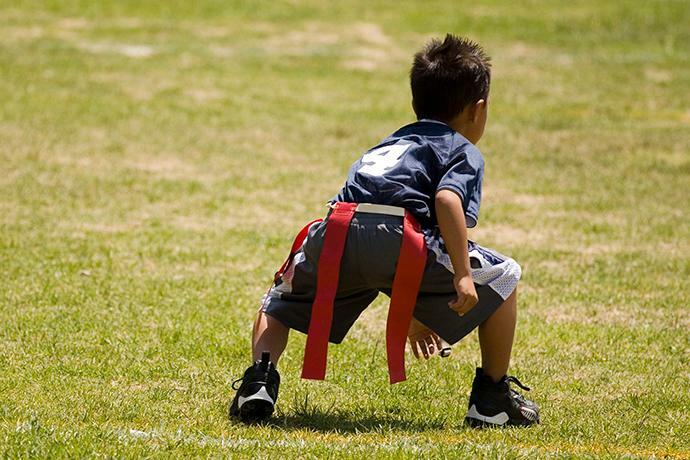 Season is 8 weeks long (2 days/week) and includes a tailgate party. Players will be required to purchase a Riverton sport jersey ($15). Games begin the week of September 10. 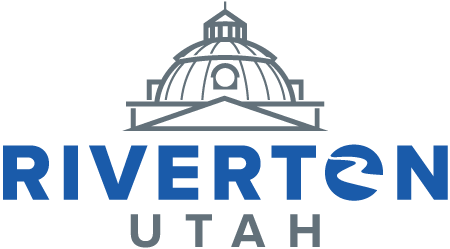 July 16 – Riverton Chamber Artist Choir Auditions – Old Dome Meeting Hall – 6 p.m.
July 17 – Riverton Chamber Artist Choir Auditions – Old Dome Meeting Hall – 6 p.m.
To see the full Riverton City calendar, click here . Click here for the Mayor's contact info, here for City Council contact info, or here to view the district map. Copyright © 2018 Riverton City, Utah. All Rights Reserved. ﻿Not subscribed? Click here to sign up! You have received this email as a result of one of the following: 1) you are or have been a Riverton City utility customer, 2) you have participated in a Riverton City-sponsored event, initiative, program or survey, 3) you signed up to receive notifications on the Riverton City website or mobile app, 4) you are or have been a Riverton City employee, or 5) you have otherwise opted-in to receive emails from Riverton City. If you no longer wish to receive official email communications from the city, simply click the "Unsubscribe" link below.